According to Statistics Canada, more than 155,000 Canadian children are living with disabilities. Parents of these children often have concerns and questions about dental care options for their children. 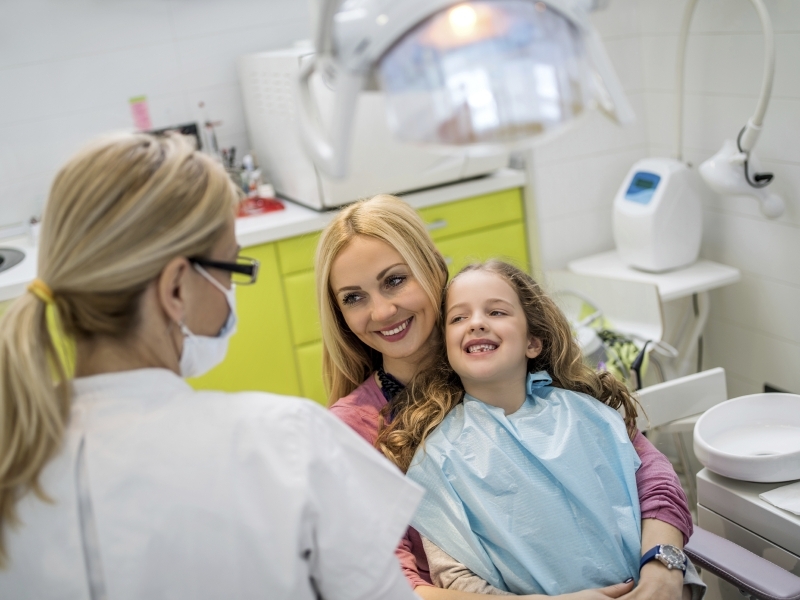 These parents' concerns often include how to find the right dentist for their children, and how the dentist and dental team will react to and deal with their children’s behaviour or needs if there is a problem during treatment. If you're caring for a child with complex needs, dental health care may be low on the substantial list of priorities. Since there are many behavioural, health, and social issues that can be compounded by dental discomfort, however, not prioritizing dental care might mean that managing your child's needs is more difficult than necessary. Pediatric dentists are specially trained in effective communication with kids across a spectrum of needs. Our Langley children's dentists can help introduce consistent dental care into your child's life in the least stressful manner possible. How Does SmileTown Dentistry Serve Kids with Special Needs? At Smile Town Dentistry in Langley, we approach each child who enters our practice as an individual, and with patience and kindness. We will always go above and beyond to provide the best, most appropriate care for each child. We’ll begin by setting up an appointment to meet with you and your child, so that we can get to know you both, and talk about your questions and concerns. Based on our evaluation, and the nature of your child’s needs, we'll use a combination of of calming techniques, from engaging games to quiet persuasion, to keep him or her happy and calm during treatment. Certain kids have emotional or physical barriers to sustained oral health care that cannot be sufficiently resolved using the above approaches. Fortunately, there are many safe anesthesia and sedation options that can be used to help treatment go as smoothly as possible. Pediatric dentists receive extensive, comprehensive training in the proper use of nitrous oxide, general anesthesia, and oral conscious sedation medications for children. Nitrous Oxide (also known as 'laughing gas') is a combination of nitrous oxide and oxygen. It helps patients who feel anxious about their treatment to relax, but it doesn't impair natural reflexes or render them unconscious. Oral Conscious Sedation can be achieved using a variety of different medications. Before we commence with treatment, we’ll explain which type of medication or combination of medications will best serve your child in safely undergoing dental treatment. We recommend general anesthesia for children with limited comprehension, extreme behavioural challenges, physical handicaps or who are highly sensitive to pain. Whatever the needs of your children, our team will find the most effective way to prevent or manage their challenges during treatment. The long-term benefits of regular oral health care, and of helping your child develop good dental habits at home, can't be over-stated. A healthy smile will help improve your child’s overall quality of life.